If you’ve been called out to test appliances, knowing which test and tag colour you should be using can be a confusing concept for particular industries. After all, you want to know what is and what isn't required by Australian standards. It's important to remember that VIC, WA, NSW, SA and QLD all follow the same Standard, meaning the colours will be the same for all states. 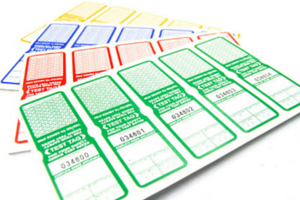 1) If you work in construction or demolition, you are required to use the specified test tag colours. 2) If you don't work in those industries, you can use your own colour coding system. 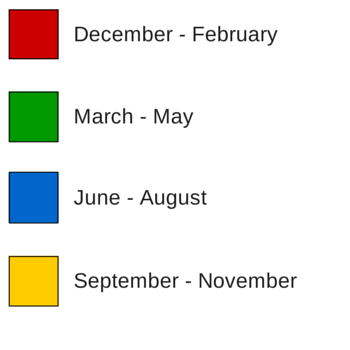 For anyone that works in demolition or on construction sites - there are particular tag colours you are required to use in different months of the year according to AS/NZS 3012. This would apply to all states around Australia (NSW used to have a seperate colour coding system). These colours are also commonly used for mining sites. For more specific information you can read our article on Testing and Tagging for Construction. We recommend you test an item at the beginning of a colour change so that the tag gets the full three months of use. If for example you test an item just three weeks before the end of a colour period, that same item will need to be re-tested again when the new tag colour takes affect. If you would like to have a cheat sheet on hand, you can download and print our full page colour coding breakdown. For everyone else not working in those particular industries, it is not legislatively required to use any special tag colour for the different months. It really comes down to your own personal choice as to which electrical tagging colours you choose to use. We recommend that you designate different test tag colours for the various re-testing periods and then rotate the colours with each test. As a result, when it comes time for re-testing, you'll know immediately which appliances need to be tested. The most common tag colours people use are red, green, blue, yellow, orange, white, black and burgandy. If you would like to discuss test and tag colours further, you can call us on 1300 848 302. Alternatively, if you're looking for a complete tag range, you can also view our Appliance Testing Supplies website. Found this article useful? Make sure you sign up to our newsletter to keep up with the latest test and tag news.